The films of Alexander Shiryaev (1867-1941) remained unknown for almost a century. Originally made between 1905 and 1909, they were saved from destruction in the 1960s by the photographer Daniil Saveliev, who preserved them until the filmmaker and historian Viktor Bocharov acquired the Shiryaev Archive in 1995. In order to publicise Shiryaev's work, Bocharov made a documentary, A Belated Premiere (2003). However, this film did not include some 60 minutes of footage shot on the non-standard format of 17.5mm with centre perforation, which has in part been digitised for the premiere of Shiryaev's works at the "Giornate del cinema muto" in Pordenone in October 2008. 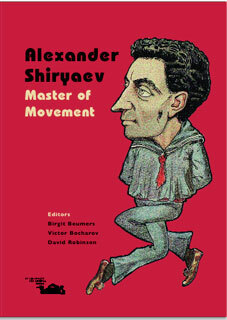 Although Shiryaev's films had never been shown to the public at their time, they remain a unique discovery in film history for a number of reasons. First, they have been extremely well preserved. Second, although they are what we would now call "home videos", the films were made by a man who was the leading character dancer and ballet master at the Imperial Ballet Theatre (Mariinsky Theatre) in St Petersburg, who assisted the leading choreographer of the time, Marius Petipa. Third, Shiryaev had an amazingly concise understanding of the movement of the human body, which ties in with scientific experiments of the time (as, for example, reflected in the chronophotography of Marey and Muybridge). Finally, Shiryaev made stunning use of puppets in a toy theatre to record the dancer's movement, and created puppet animation films. These films precede by at least two years the work of Ladislaw Starewicz (1882-1965), who has been widely regarded as the world's first puppet animator. Shiryaev's life unfolded in the ballet world: the grandson of the composer Cesare Pugni (1802-70), he became a leading character dancer and worked with Anna Pavlova's troupe on their European tour. Later in life, Shiryaev taught at the Leningrad Choreographic School, where he not only established the first class in character dance and co-authored a textbook, but also taught the Bolshoi Theatre's choreographer Yuri Grigorovich and the ballerina Galina Ulanova. With the arrival of the film camera, Shiryaev understood this to be the ideal medium to record choreographies. He acquired an amateur film camera 'Kino' manufactured by Ernemann in Dresden, which used 17.5mm films. However, the administration of the Imperial Theatres refused permission for filming inside the theatre, and Shiryaev filmed dances at the family's summerhouse where he and his wife, the ballerina Natalia Matveeva, would perform character dances on a wooden stage en plein air. Shiryaev soon discovered the stop-frame mechanism of the camera, which he used to make trick films and puppet films: Shiryaev made 20-25 cm tall puppets from papier-mâché and placed them in a self-made toy theatre. He moved these puppets to record the dancer's movement on stage, as for example in a condensed version of the ballet Harlequinade as Harlequin's Jest (1909). In this ballet Shiryaev had originally danced the role of Cassandre, while the ballerina Olga Preobrazhenskaya performed Colombine: her unique style of turning the fouetté from right to left is imprinted in the puppet's movement in Harlequin's Jest. Yet for this purpose Shiryaev had already acquired a professional 35mm camera. Leipzig DOK, October 2008: Belated Premiere and some additional footage "When Puppets Learned to Dance"
Bristol Encounters, November 2008: Belated Premiere and some additional footage, presented by Peter Lord ::: Peter Lord on Shiryaev in The Guardian. Annecy International Animation Festival, June 2009: Belated Premiere and newly restored footage, as well as digitally mastered paper films. Samuel Dixneuf, Festival du film d’animation d’Annecy 2009: on rembobine! MONSTRA ANIMATION FESTIVAL MEANS SPRING IS HERE AT LAST, 23 April 2010. 24 x 17 cm; 176 p., Paperback.